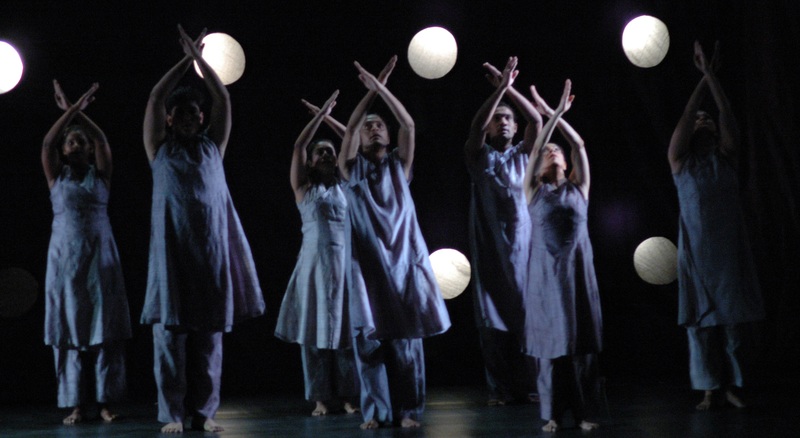 Jaipur, 24 March: A classical kathak and contemporary group dance performance ‘Timeless’ by Aditi Mangaldas Dance Company was held today at Navras. The performance revolved around the notion of ‘time’. Through the act, questions such as – ‘Is time reversible?’; ‘Is there time, or are there many times?’; ‘Does time end?’; ‘Does time flow?’ , among others are pondered upon. The dancers move around and between each other while often adding to the music by stamping their bare feet as they dance. They are constantly on the move and use a mixture of speech, sound and movement as they explore their universal theme – time. The performance was conceptualized and choreographed by Aditi Mangaldas and the music composition was by Shubha Mudgal and Aneesh Pradhan. Tomorrow there will be ‘Meet the Artist’ with the artistes of Aditi Mangaldas Dance Company at 12 noon at Krishnayan (Free Entry). This will be followed by theatre performance of Khasakkinte Ithihasam – The Legends of Khasak by Deepan Sivaraman at 6:30 pm at South Ex. The entry of this event is through tickets which can be obtained from the JKK Office.